MIDLAND, Mich., April 03, 2018 /3BL Media/ - The Dow Chemical Company is again teaming up with national nonprofit and long-standing partner Keep America Beautiful to award a total of $100,000 in grants for organizations to establish Hefty® EnergyBag™ programs in their communities. The Hefty® EnergyBag™ program offers an innovative approach to diverting plastics that cannot be recycled, such as chip bags and juice pouches, from landfills and converting the materials into valuable energy resources. The 2018 grant program builds upon the success of last year, when Dow awarded two $50,000 grants to organizations in Cobb County, Georgia (Keep Cobb Beautiful Inc.) and the City of Boise, Idaho to establish the program in their respective communities. This year, Dow will offer a total of $100,000 in grants to multiple communities across the nation. At the intersection of innovation, sustainability and citizenship, Dow’s long-standing relationship with Keep America Beautiful is built on more than 10 years of collaboration through the Great American Cleanup, the largest community improvement program in the U.S., which provides an opportunity to engage employees, customers and communities for impact. The Hefty® EnergyBag™ grant program demonstrates Dow’s commitment to advancing a circular economy as part of its 2025 Sustainability Goals. 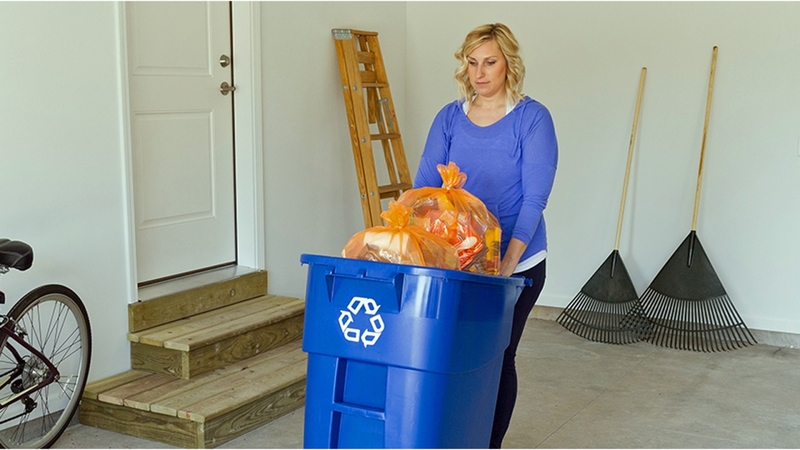 As of February 2018, Hefty® EnergyBag™ curbside and non-curbside programs – which began with a 2014 EnergyBag™ Pilot in Citrus Heights, California – have collected over 44,500 orange bags and diverted more than 24 tons of plastics from landfills, the equivalent of approximately 19 million snack-sized chip bags or 117 barrels of diesel fuel. To apply for the Hefty® EnergyBag™ grant, visit www.kab.org/hefty-energy-bag-program. To learn more about the Hefty® EnergyBag™ program, visit www.heftyenergybag.com. Dow Packaging and Specialty Plastics, a business unit of DowDuPont’s Materials Science division, combines core strengths of R&D, worldwide reach, broad product lines and industry expertise to deliver high performing technologies for end use markets in food packaging, personal hygiene, infrastructure, consumer goods and transportation. Dow Packaging and Specialty Plastics is one of the world’s largest producers of polyethylene resins, specialty resins and adhesives and a leading innovator and collaborator across the value chain on sustainable application development and circular economy life-cycle design for plastics.